Many drivers rely on roadside assistance to take care of tire replacements and other major vehicle problems. But what about when contacting roadside assistance is not possible? There are times when you may find yourself in the middle of nowhere without any kind of cell signal. In a situation like this, it becomes very important to have a basic knowledge of flat tire replacement. It’s also imperative that you keep the right tools in your car. The first thing to bear in mind is your safety when you attempt to replace a flat tire. Do not try to make your replacement on a dark road or in a high traffic area. Pull over to a safe place before even getting out of your car. 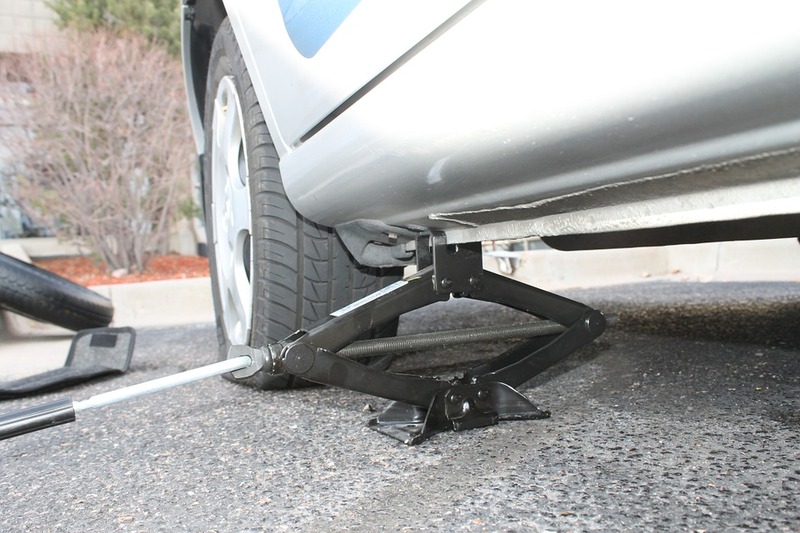 Do not attempt to raise your car using a jack while on soft ground or an inclined road. The car will be unstable when raised by an unsteady jack. Use the jack only, and never attempt to get under the car. Use your tire iron to loosen your tire’s lug nuts. Use your jack to raise your car so that the wheel is suspended. Complete the removal of your tire’s lug nuts and keep them in a place where you can find them later. Remove your flat tire. Lay it down next to the car. Replace the flat tire with your spare. Replace the lug nuts, being sure to tighten them thoroughly. Use your tire iron to ensure that your lug nuts are fastened as tightly as possible. Check that you have not left any tools behind before you drive off. If there is oncoming traffic, be careful as you move from the shoulder into the traffic flow.